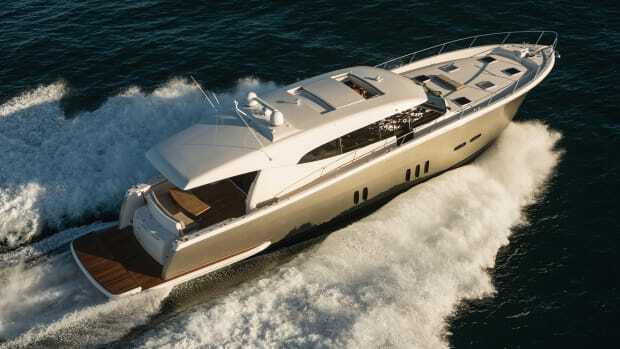 The Maritimo X60 design is the product of a young mind backed by a builder with serious experience. Things are happening Down Under. 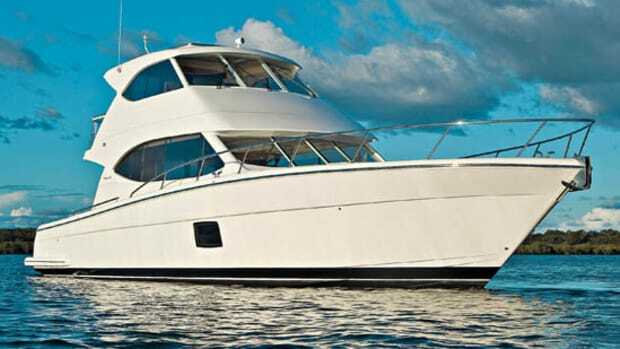 If you want proof, look no further than Maritimo, builder of models from 50 to 70 feet. 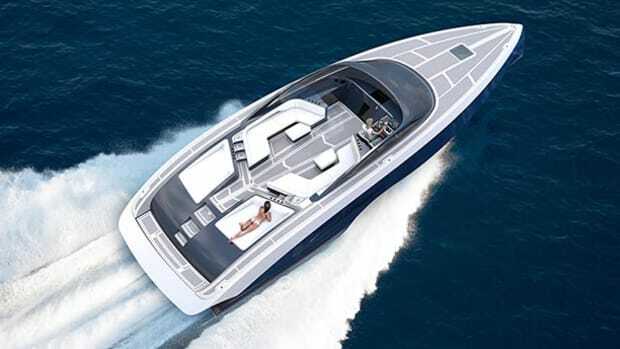 With the recent acquisition of Elandra Yachts, the Australian boatbuilder has taken another step in positioning itself as an international player in the luxury boat market. 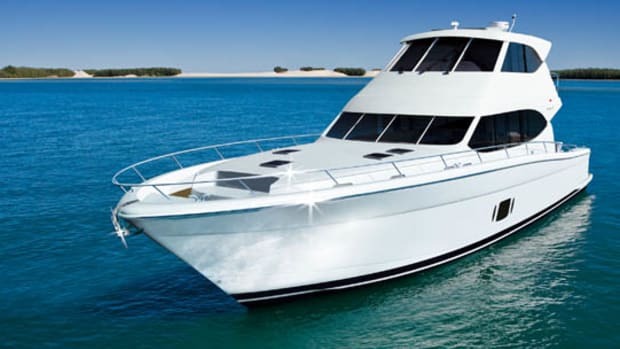 The takeover allowed iconic boatbuilder Bill Barry-Cotter to bring his son, Tom Barry-Cotter from Elandra into the fold at Maritimo. 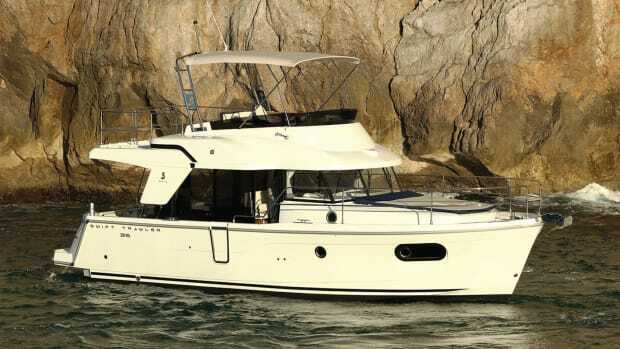 Since then, the prodigal son has found a solid footing on which to launch his boat building aspirations, taking the foundation of the Elandra 53 and running with it, and in the process creating in the process an entirely new boat, the Maritimo X60. The sleek, sharp lines of the X60 are impressive, not the least of which because the entire X-Series (the X60 has two sisterships in the works in the X50 and X70) is the result of the largest design and development project ever undertaken in the company’s history, according to the younger Barry-Cotter. 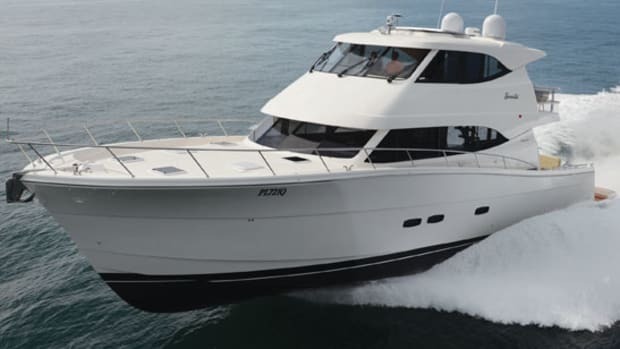 With approximately 50 percent of Maritimo’s production exported to markets in the U.S. and Europe, the need to satisfy a diverse international customer base was paramount. Given the choice of a traditional tender garage, or a customizable entertaining space interconnected to the salon, customer feedback was unconditionally for the latter. (Though it should be mentioned that an optional tender garage is offered.) 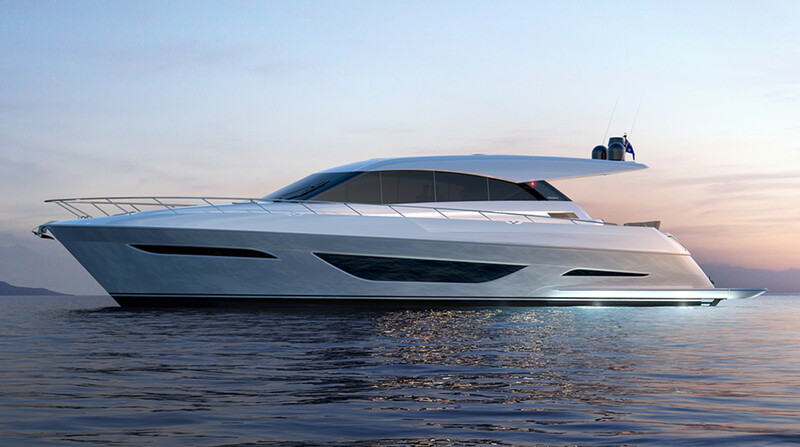 “The sport yacht segment of the market is busy with competition, so it was evident within the project brief that the X Series needed to bring something unique to the market, that no competitor offers,” added Haines. 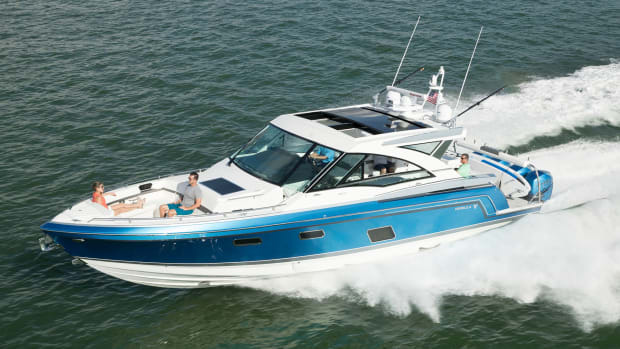 One of those impressive differentiators is the much-heralded beach club/aft cabin option. 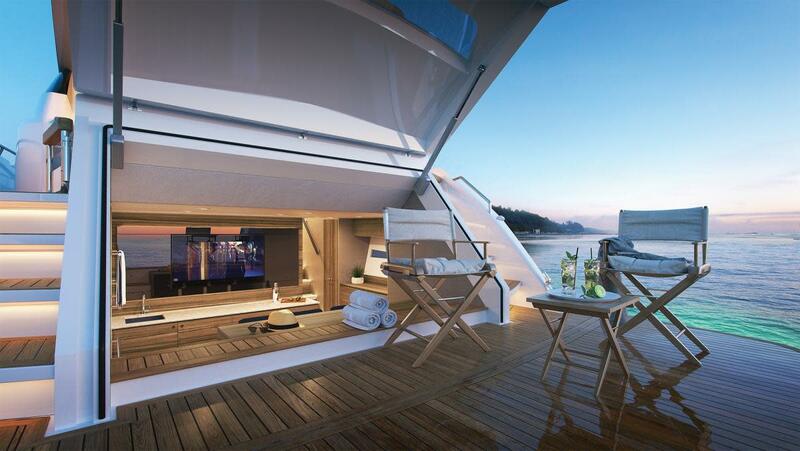 Together with the vast swim platform area, the two combine to form a cabana-style twin level entertaining and relaxation space. 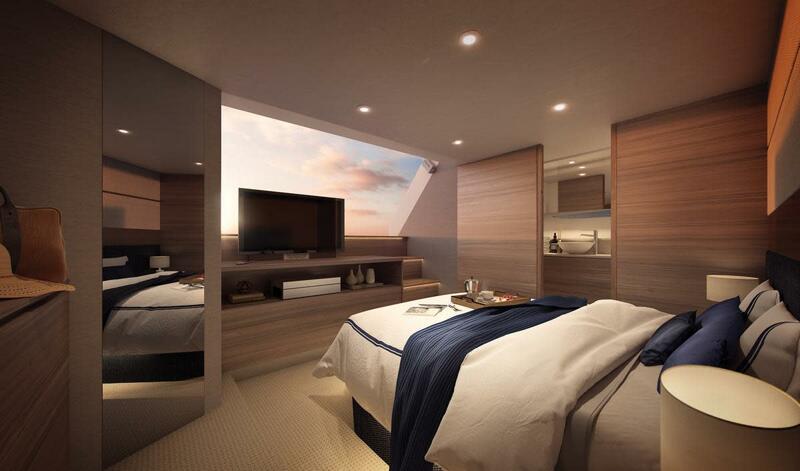 Owners and guests alike are sure to enjoy a built-in mini galley and bar. That statement also comes from its performance. The X60 seems well-built to balance an aggressive appearance with comfortable practicality. 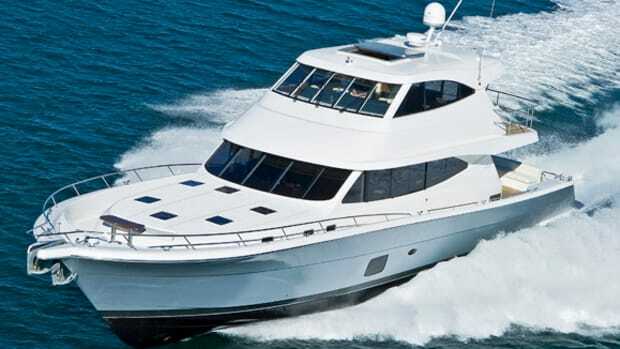 Maritimo has long been known for producing long range motoryachts with efficient and simplified straight shaft propulsion. 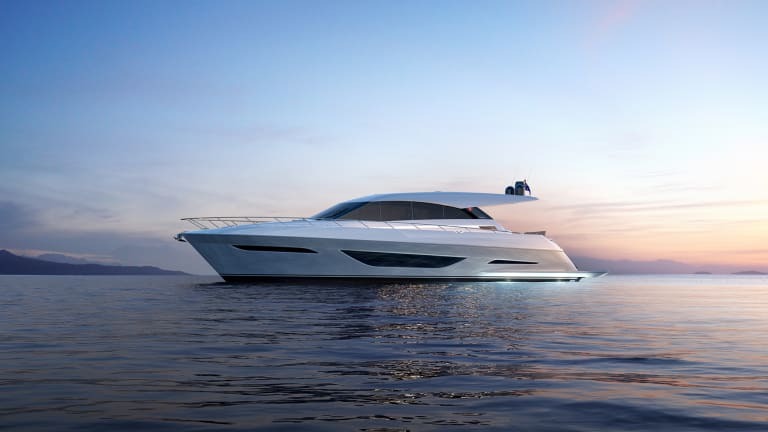 Together with the company’s powerboat racing division, Maritimo Racing, from early on in the design process “a continual effort [was made] to lower the center of gravity through the placement of engineering and systems within the vessel,” says Haines. Such efforts should be felt in better stability and handling. Rosco Willaton, of Maritimo Racing—and the company’s leader in the sea trialing and fine-tuning all their vessels—races alongside Tom Barry-Cotter. The two have collaborated closely in providing the X60 with the latest propeller technology available, “with Rosco tailoring a specific range of propellers that have been developed and advanced closely with our propeller supplier,” according to Haines. But the collaboration doesn’t stop there. 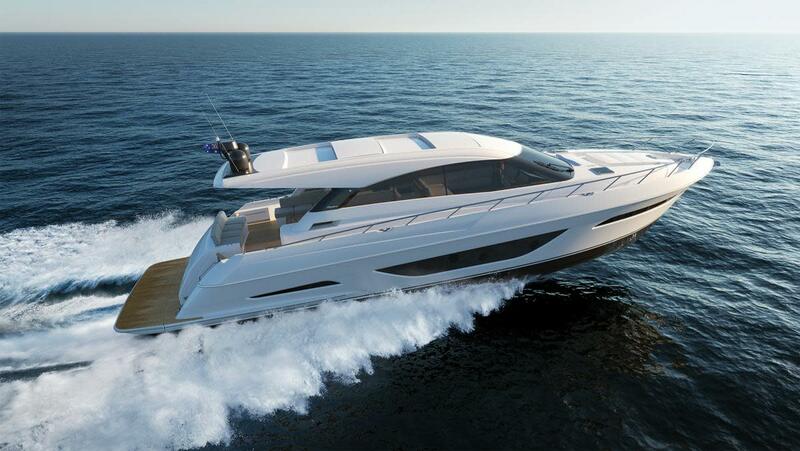 While Maritimo Racing has developed its own power steering systems through its experience in various racing classes, the X60 will benefit by inheriting the latest system which will provide reliable, direct handling and performance through the speed range. 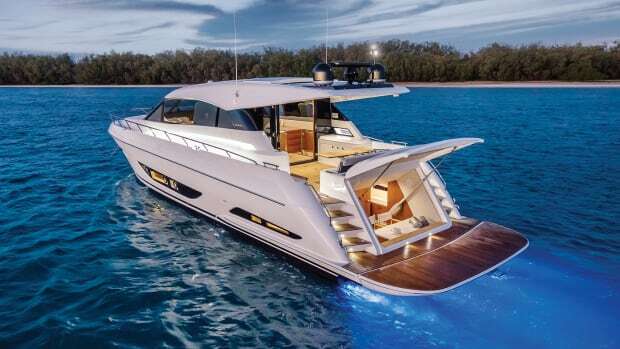 Currently due out in February 2018, the Australian builder seems to be making strides in designing an exciting cruiser with international appeal.